How to Change Text to Speech? Read too many texts often makes people feel tired. While the audio version of the text not only can release people from reading but also can make use of every minute to read on the road. 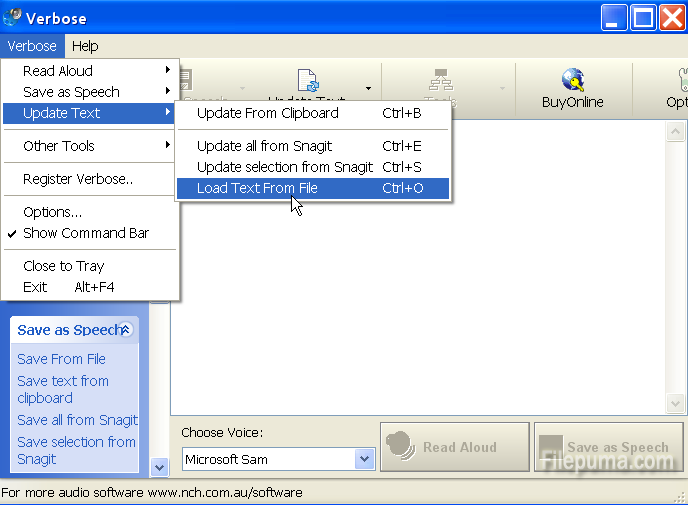 Verbose can help you convert text into audio easily and freely. 1. Download Verbose and install it on your computer. 3. 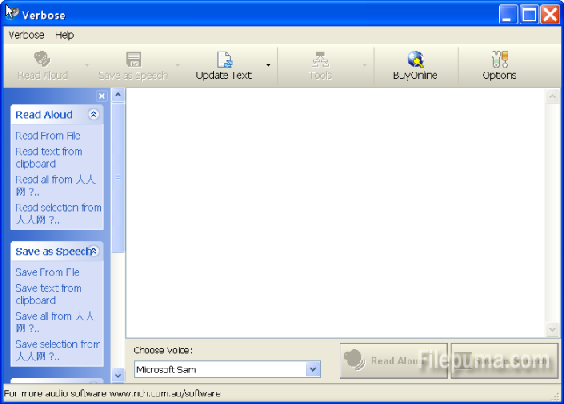 Upload the text file you want to convert by clicking “Verbose-Update text”. 4. 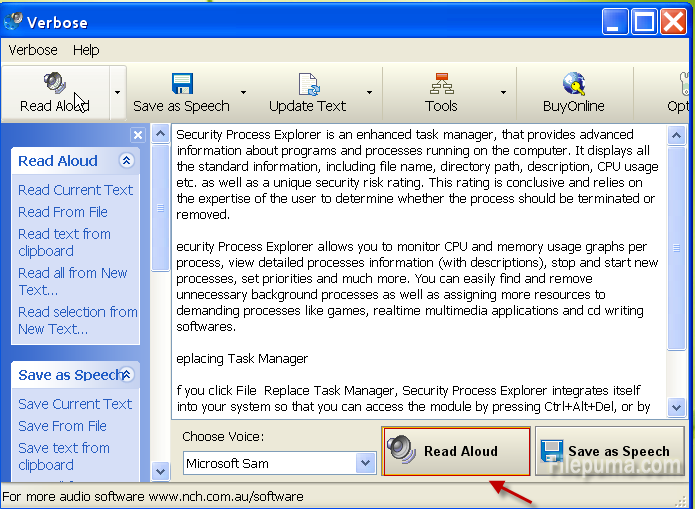 Option “Read Aloud” at the bottom of the window to begin the converting process. 5. 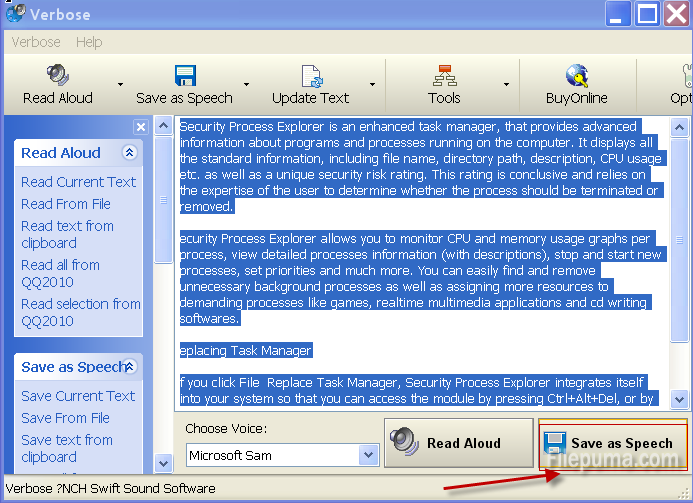 When the reading finishes, select ” Save as Speech” to save the audio.